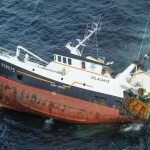 The grounded fishing vessel Celacante sank on July 12, 2014 during salvage operations off Pierres Noires, France. The Celacante went aground on May 22 when the trawler attempted to rescue a sailboat in distress. The Celacante remain aground for two months as the owner arranged salvage operations. 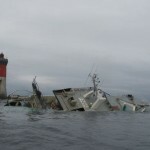 The salvage team began operations in early July. The team had lightered the trawler and installed balloons to give the vessel additional buoyancy. Some 20 tons of diesel fuel and oil was removed from the vessel’s tanks. After the work was completed, two tugs were able to successfully pull the Celacante off the rock planning to head directly to Brest. The salvage team then inflated the balloons on board the Celacante to start the tow, but the fishing vessel lost buoyancy. The balloons were insufficient and the trawler quickly listed over to starboard before sinking by the stern. 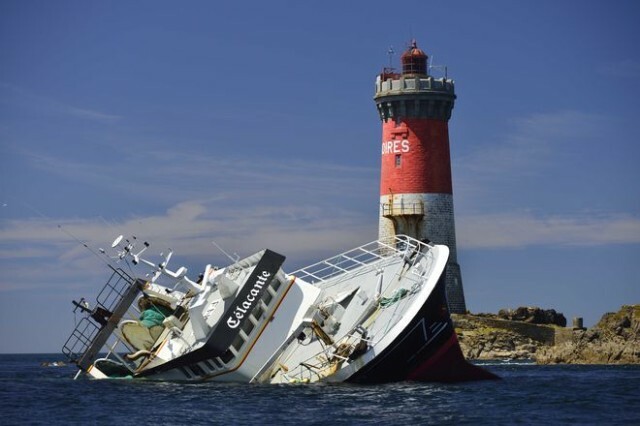 Reports state the divers had underestimated the damage to the vessel. Further inspection found large cracks along the entire length of the engine compartment. 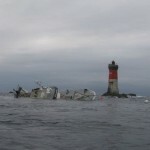 The Celacante now rests in 15 meters of water just 300 meters off the Lighthouse of the Black Stones (Pierres Noires). 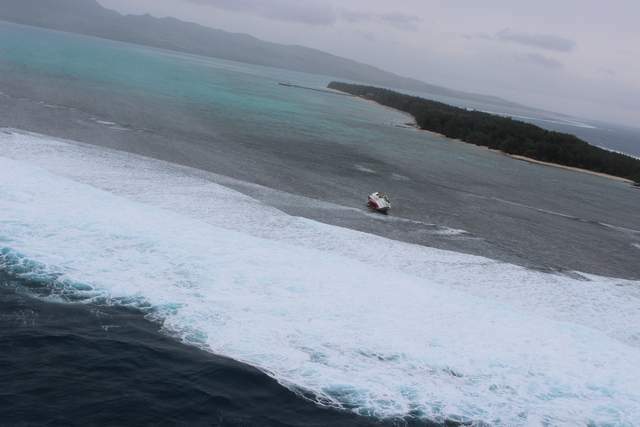 The 49 meter long fishing vessel Take Maru 55 ran aground off Cocos Island, Guam. The tuna boat was driven ashore as Tropical Storm Halong lashed the area with strong winds and heavy rain. The six crew on board abandoned ship and swam 700 yards to safety. The crew sheltered in the island’s resort until conditions improved enough to allow rescuers to arrive. No reports of injuries. Local authorities arrived and transferred the crew to Guam. The U.S. Coast Guard has launched an investigation into the incident. The 294 meter long, 62920 dwt container ship RHL Fidelitas suffered water ingress while berthed in Shanghai, China. The RHL Fidelitas had completed loading cargo when it suffered water ingress in its engine room. The boxship suffered significant damage to the engine room. No reports of injuries or pollution released. 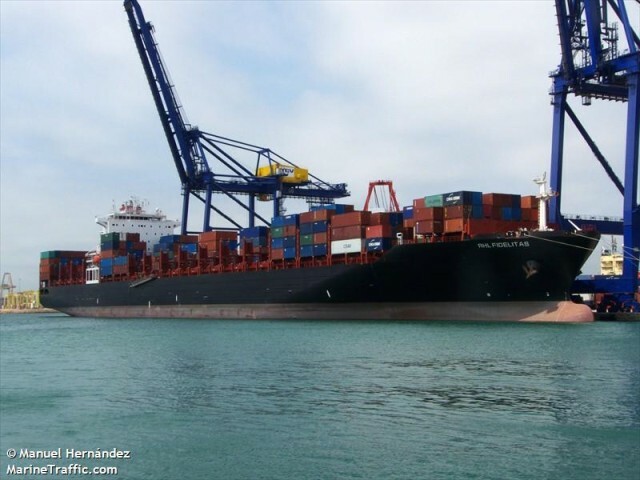 Containers were offloaded and the RHL Fidelitas was taken to a nearby anchorage while the crew conducts repairs.